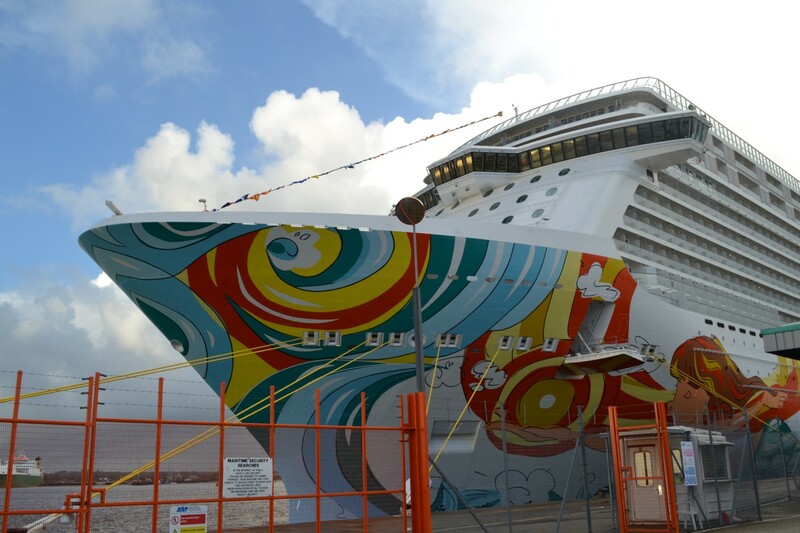 I’ve never set foot on a cruise ship, let alone considered a cruise holiday so when I got the opportunity* to have a look around one of the swanky new Norwegian Cruise Line ships – Norwegian Getaway – for 24 hours, I was too curious to resist. The first thing that struck me on entering the port at Southampton was the sheer size of it, and I mean HUGE. Akin to a floating skyscraper, I couldn’t get my head round how it even floats. As cruise ships go it was pretty impressive to look at and the colourful mural painted along the length of the ship was a vibrant contrast to the grey skies overhead. Once inside, I began my exploration (you truly need a map to get your bearings!). The mid levels were the dining and entertainment areas with a multitude of restaurants to choose from (I opted for sushi which was really rather delicious) as well as a casino (eugh) and a number of bars. Incredibly, there is even an ice bar onboard, which unfortunately I didn’t get a chance to visit. 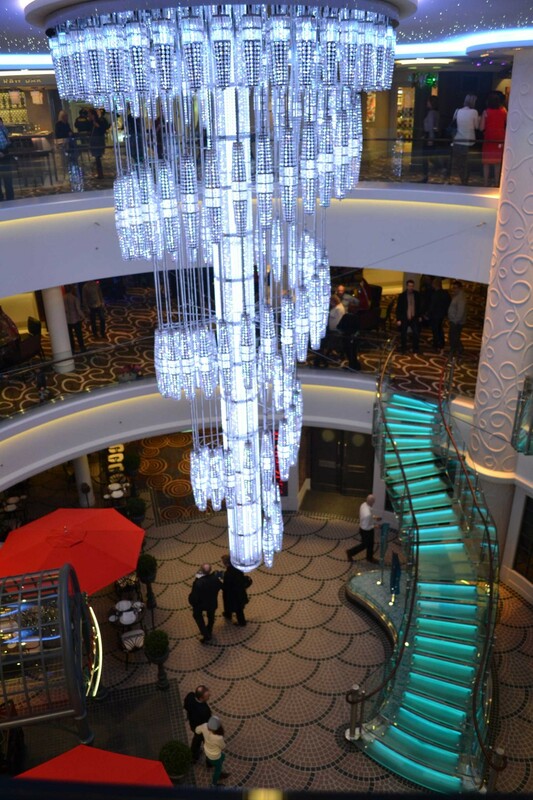 The atrium area which connected all these floors had an ice-catching crystal chandelier and with stairs leading you to all the best bars and restaurants; clearly the social heart of the ship. My room was reasonably spacious, but still small compared to what you’d find at a decent hotel, with a TV and all the mod cons. I also had a little balcony, which when the curtains drawn, lit up the room and made it feel much more open. The thing I really couldn’t get my head around was all the announcements, which you hear in your rooms as well as all the public areas. I felt a bit like I was on a spaceship and something I am definitely not used to. What I thought was very clever, however, was the touch screen help desks found throughout the ship where you could see interactive maps and book your table at any of the restaurants at the touch of a button. 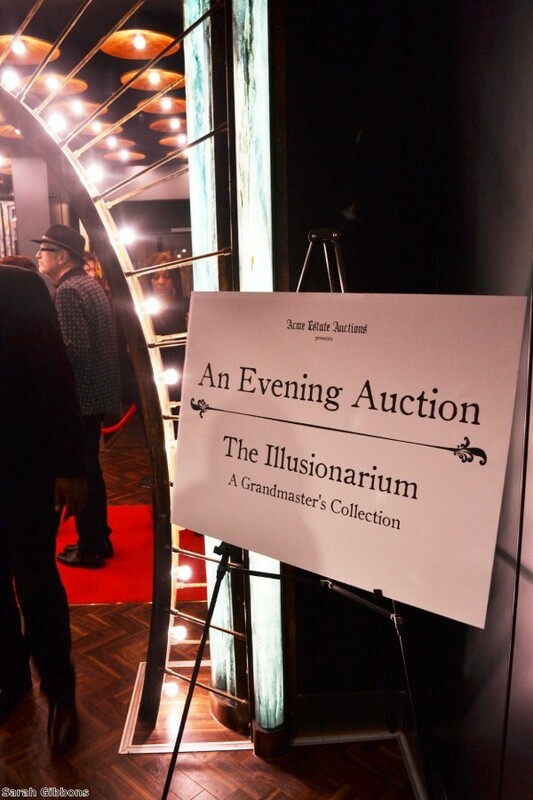 In the evening, I attended the Illusionarium dinner show, where you’re transported to the 1800s and Professor Vernon Royce’s Illusionarium. The magicians and illusionists that appeared throughout the show were jaw-droppingly brilliant and world-class. I am still racking my brains as to how they managed all the things they did. The food was great too and all in all, it was a very enjoyable evening. We may have only sailed around the Isle of Wight for the cruise ‘preview’, but it really was an experience. As cruise ships go, it is fantastic, huge with everything you could possibly need or want. However, 24 hours was quite enough for me. 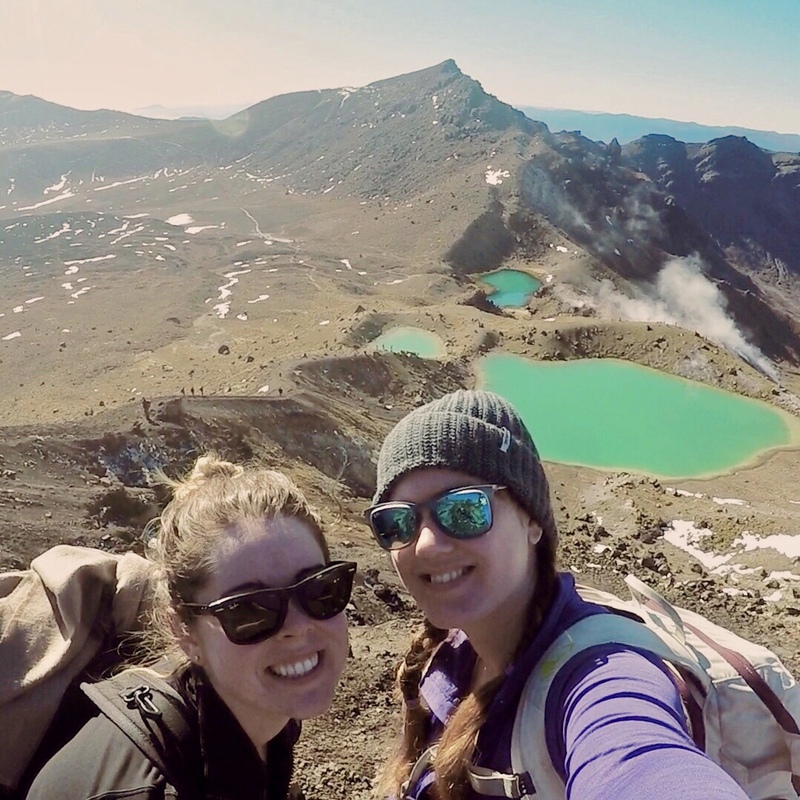 As much as I can see the benefits for many types of travellers, cruising is just not my cup of tea. That light fixture is pretty freaking awesome!